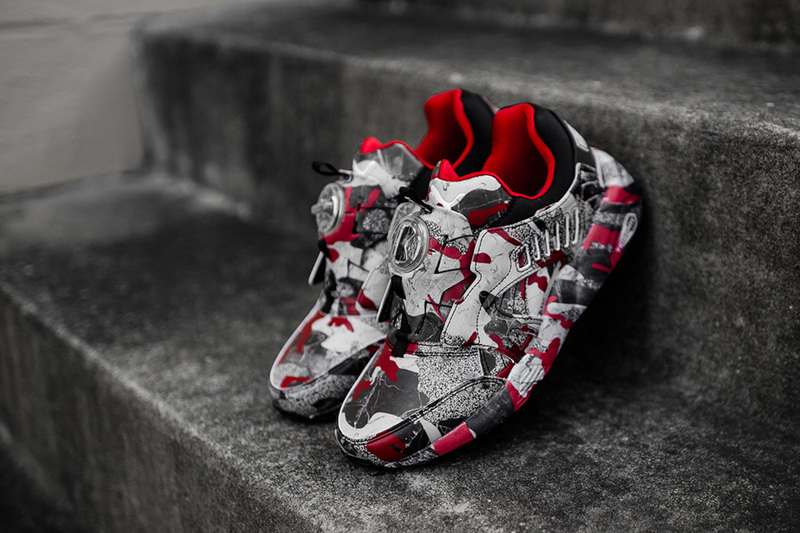 PUMA and Trapstar have collaborated on a new colourway on the classic PUMA Disc Blaze. The sneaker is fitted in a camo style pattern that uses a mixture of textured visuals in black/white with bursts of red. The PUMA x Trapstar Disc Blaze ‘Barb Cherry Camo’ features an all-over leather upper that’s covered in splashes of red and black, with neoprene sock collar and signature disc fastening system sitting atop a Trinomic sole unit kitted out head-to-toe in Trapstar’s White Noise Camo. 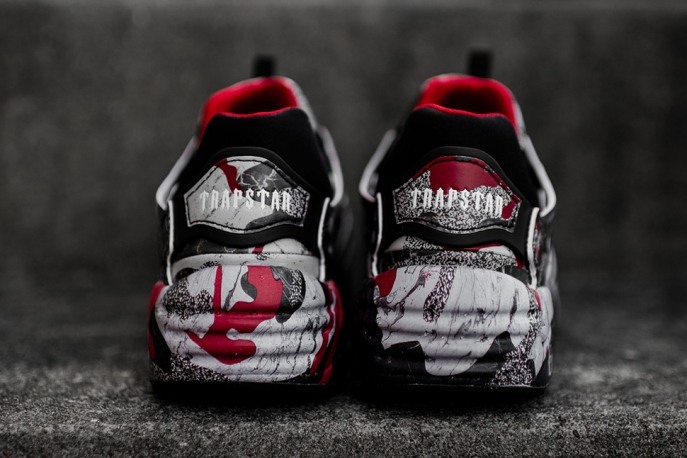 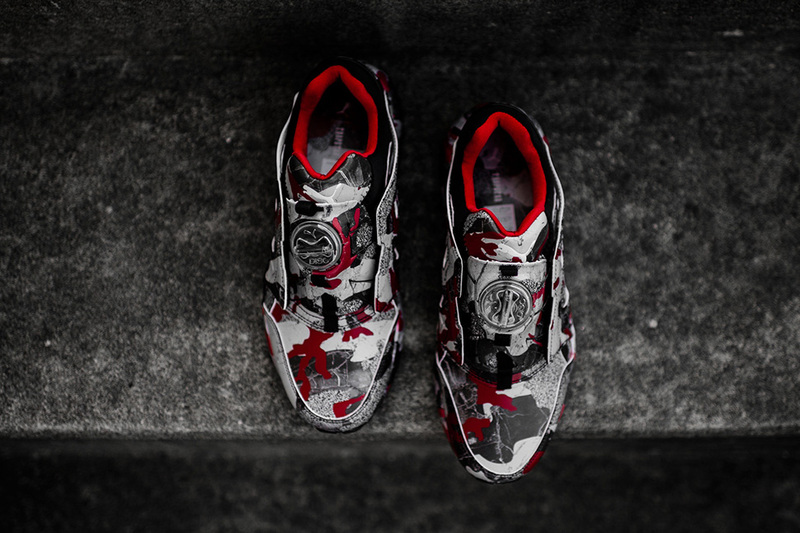 The PUMA x Trapstar Disc Blaze ‘Barb Cherry Camo’ is available at selected retailers.